1346AL, Used Rims,16X8-1/2, 5 LUG, 4-3/4, 84-85, Chevrolet, CORVETTE, ALUMINUM, PAINTED BLACK, A,B & C INTERCHANGE BUT DIFFERENT COLOR CENTER. 1346AR, Used Rims,16X8-1/2, 5 LUG, 4-3/4, 84-85, Chevrolet, CORVETTE, ALUMINUM, PAINTED BLACK, A,B & C INTERCHANGE BUT DIFFERENT COLOR CENTER. 1475c, Used Rims, 15X6, 5 LUG, 4-1/4", 90-91, FORD, TAURUS, LACE DESIGN, BLACK, ALLOY. 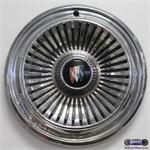 1510, Used Rims,13X5, 4 STUD, 100MM, 85-88, CHEVY, NOVA, BLACK STEEL 6 SLOT. 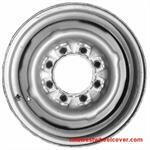 1510, Used Rims,13X5, 4 STUD, 100MM, 85-88, CHEV, NOVA, BLACK STEEL 6 SLOT. 1599c, Used Rims, 16x6, 8 LUG, 6-1/2" 79-91, Ford, F250, F350, VAN, LARGE HOLE STEM, LIP IN CENTER, 4 SLOT, BLACK STEEL. 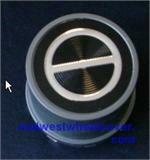 1660a, CENTER CAP USED, 89-96 PONTIAC GRAND PRIX, BLACK, ENGRAVED LOGO, PLASTIC CLIPS, 2-1/2" DIA. 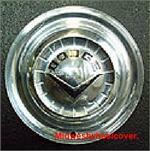 1977-85 FIAT, CENTER CAP USED, SPIDER, 2000, BLACK CAP WITH THE RAISED ENGRAVED WORD FIAT, 4 LUG NUT HOLES, HELD ON BY LUG NUT. 5-7/8" DIA. 2023b, CENTER CAP USED, 93-97, DODGE, INTREPID, BLACK, 5 LUG NUTS CAPS, NO LOGO. 6-1/2" DIA.